This page is full of interactive links including the video above so click anything in bold for more information! For more ideas, take a look at this Chicago Attractions Guide. For discounts on 30 different attractions, check out the Chicago Card. You can expect a world class experience from the windy city! 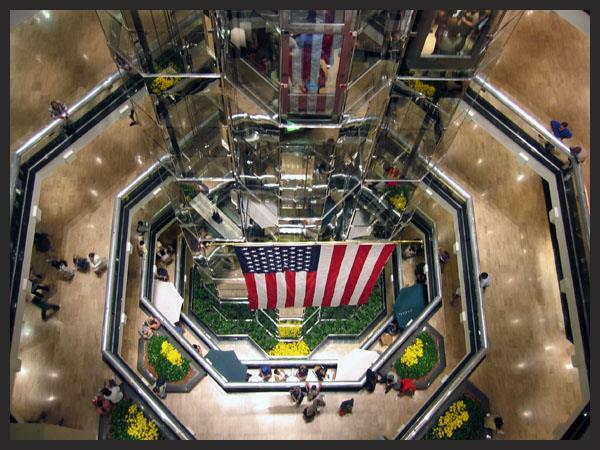 The Water Tower Place, nestled in the Magnificent Mile, can meet the desires of any discerning shopper. Fendi, Prada, Gucci, boutiques, fine dining and more! GO Express Travel has partnered with the InterContinental Hotel to bring you a 15% discount on your stay. You must book your reservation through this website to get the 15% discount. This central location is within walking distance of Millennium Station, nestled in the heart of the Magnificent Mile. If being close to major attractions is important to you, this is a great location. For those with a knack for history, the InterContinental Hotel is a former 1920's hot spot and is still featured on historic tours of Chicago. Enjoy grand ballrooms and fine dining in a place that is fit for Gatsby himself. Reserve and save now! Visit some of the best museums the world has to offer. Chicago has a wealth of every variety of art including this piece, American Gothic, which can be found at the Chicago Institute of Art. Here's a map of the major art locations in Chicago. Chicago has such a great nightlife that you might need a day just to recover! The food in Chicago is top notch, with so many number one, top of the list choices you'll have to pace yourself and come back for seconds. For the sports fan, Chicago most definitely does not disappoint! Even if the Cubs aren't your team, catching a game at Wrigley field is a great time.